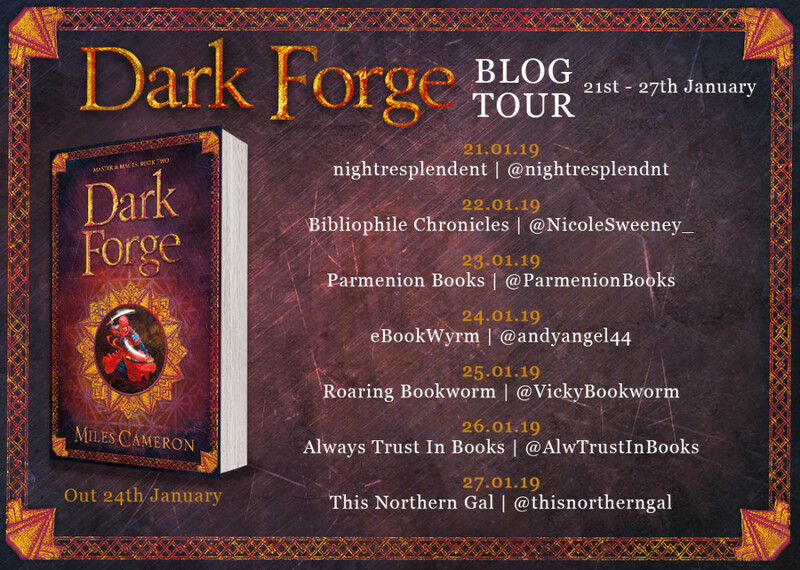 I am so excited to be a part of the blog tour for Dark Forge today. As some of you may remember, I reviewed the first book in this series, Cold Iron, and I loved it. If you would like to see my thoughts on the first book, you can find it here. If you’re only interested in book two (and not bothered by spoilers), carry on reading. 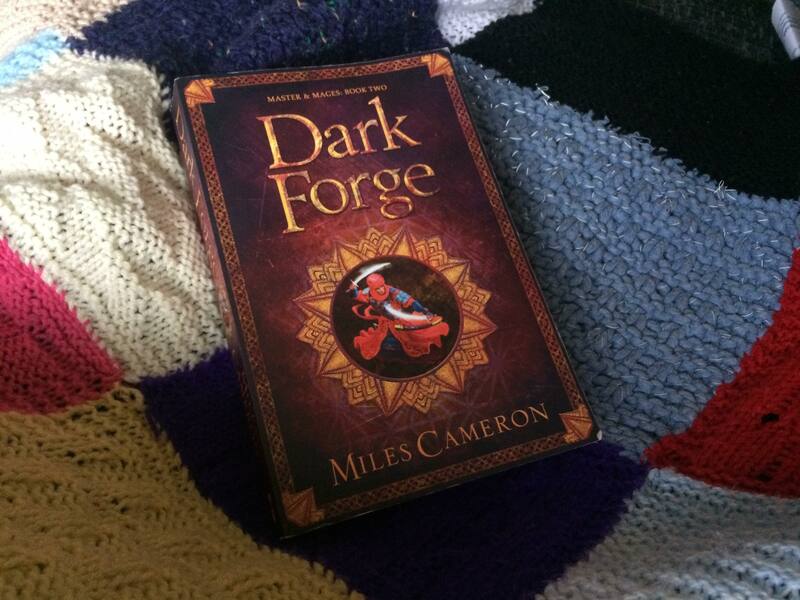 Dark Forge continues the story of Aranthur, a young student who has found himself caught up in conspiracies he could never have imagined. And now those conspiracies have led to war. Aranthur is thrust into this combat and must quickly learn that war is not as glorious as the stories make it sound. His alliances are tested but so is his own understanding of what is right and wrong. Things are not simple, and despite his proficiences as a scholar, Aranthur is struggling to find the answers he craves. This, I think, was what I found the most interesting about this novel. It really explored the moralities of war in an exciting and enticing way. The threads of this question were woven throughout the writing in such an organic way that it never jolted you out of the story but definitely left you thinking. As with Cold Iron, Miles Cameron again shows off his talent for fast-paced action that has you desperately racing through the story. The fight scenes in Dark Forge are simply stunning. This is only helped by the fact that Cameron has managed to weave together an epic tapestry of secrets, magic and power struggles that make you utterly invested not only in the character of Aranthur and the world he is desperately fighting to defend. I was hooked on Cold Iron, hooked on Dark Forge and I am sure that I will be just as hooked on book three when I get to read that!